Today was a fun day. Most of it was spent doing different odd jobs around the house. 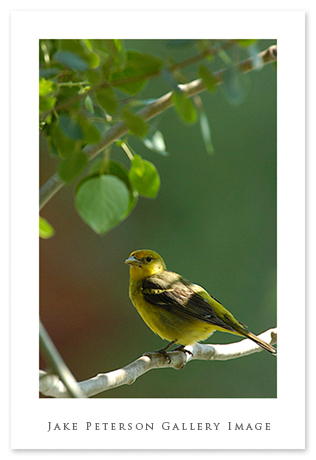 As i said in an earlier post the Western Tanagers are back at the house and today was the first sighting of the female. The males have been around but not consistently. This female was more cooperative then any of the males I’ve seen. Not the greatest shot but the first I’ve taken of a tanager digitally.